This book is about hope for the future and always believing that things will be better one day. It is a very short book but it says everything it needs to, to make you want to change. The power of the spirit of one man on the countryside is incredible. What I like best about it is: Many years later after the man has died, and the war is over, everyone thought what had used to be a dirty desert of no man’s land and was now a beautiful lush forest full of groves and lakes was natural, but it was all the work of one man. Recommended Reading Age: 2 yrs and above. You could read it to your baby at bedtime and it would fill them with hope. You will like this book, if you like: inspiring books that fill you with wonder from the very first letter. How does it make me feel when reading it: It made me feel like it couldn’t be described any better and it was the one story I had been searching for all my life and I will read over and over again at least 900 times before I die. 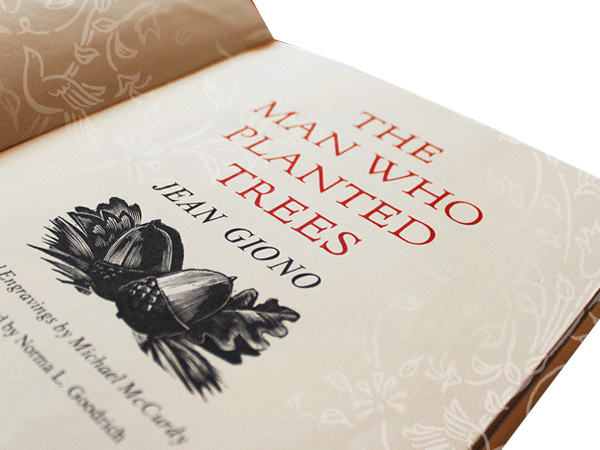 This entry was posted in Book Review and tagged Book Review, Jean Giono, The Man Who Planted Trees. Bookmark the permalink.